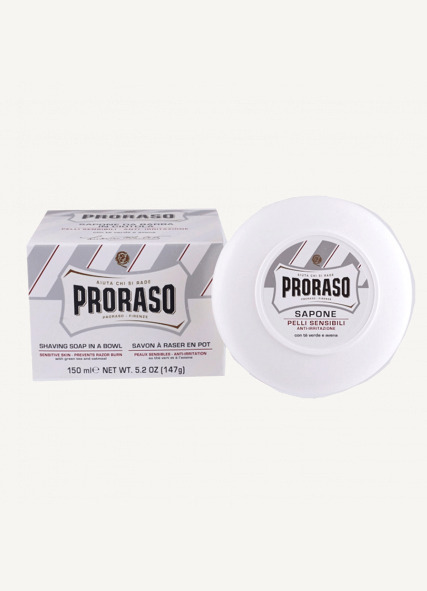 Shaving soap in a bowl. For sensitive skin. With green tea and oatmeal. Prevents razor burn.